This book was horrific (in terms of the subject matter and some of the things that happen) but amazing. Read it if you haven't already. And try to go into it unspoiled, I already knew one of the major plot points in it before reading, and I wish that I hadn't! Why was the English guy in it obsessed with the queen? I mean, it's okay to have someone who actually likes the royal family in there, but at least balance it out with someone else! The bits with Japanese people annoyed me. There were Japanese words which are just normal words, without any particular significance that were treated as if they were special lingo somehow, and I wish again that there had been a bit of a wider representation of other viewpoints in it. A bit too stereotypical if you ask me. Mind you, this is probably only because I understand Japanese, I'm sure it wouldn't be annoying for anybody else! The fact that actually knowing stuff about 2 of the countries that were talked about made me wonder if the rest of it would be equally annoying to people either from, or who know a lot about other countries represented within the book, so I'm glad that I'm as ignorant about say, China and India as I actually am. Yay ignorance!! (Only when it comes to reading this book, otherwise I'm pretty ashamed of how little I know about the rest of the world). Having said that, I still enjoyed it enough that I have since bought it as a present for people and would like to reread it at some point. I might just skim read the bits that annoyed me and focus on the other bits. My only problem really is that although all of the American viewpoints were balanced, the countries that I actually know stuff about didn't have any balance to them at all, and I would have preferred to have at least a couple of different views of what happened from those countries. Of course, that would have made the book absolutely massive, but I don't think anybody who has read and enjoyed this would mind that, would they? My first Gaiman book. As with any short story collection, it was a bit of a mixed bag, but the stories that I liked I really really liked. Unfortunately, the story that I liked the most was actually in the introduction, so I was setting myself up for disappointment really! Still, it was my bedtime reading for a month or so, and I enjoyed it a lot. I'm looking forward to reading more Gaiman, although I know that some of his things can be a bit divisive so I'm not entirely sure where to go next. 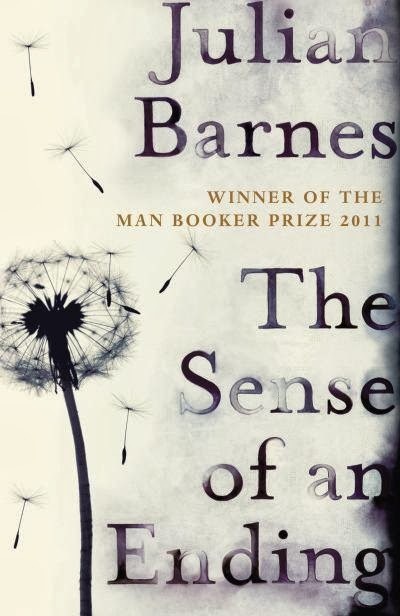 The story of this is split into two parts, with the first part about the precocious childhood of Tony, the main character... and if you want to read this, you really shouldn't know what happens in the rest of the book, as it makes every revelation later on become a bit too obvious. So stop reading! For those of you who chose to ignore me, the second part of the book takes the first part and completely flips it on its head. I really like unreliable narrators, and I did enjoy the book, but I just didn't find the revelations to be particularly surprising, as I had already worked them all out. Had I gone in without knowing about the whole everything was not as it seems switcheroo, I think I would have enjoyed it much more. I did still like it though, and it was nice to read something so thoroughly British! After reading Gone Girl, I did what I expect a lot of people did and immediately bought all of the Gillian Flynn back catalogue (so... two books. I'm so wild!). I still haven't read the other book (Sharp Objects), as I think that reading everything at once might be a bit too dark, even for me. 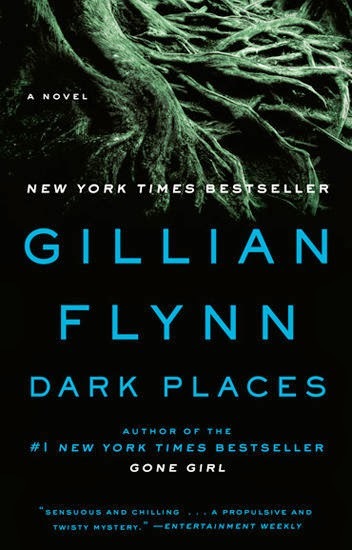 Dark Places is about a girl, Libby Day, whose entire family was killed by her older brother who is in prison. 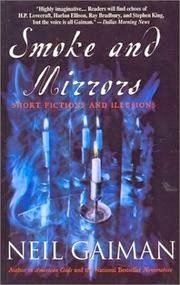 She has a fund established in her name, and has pretty much been living off the proceeds of that, but her money is starting to run out, and when she does an event for a group of people obsessed with famous murder cases, she realises that what she thinks happened might not exactly be the whole story. Libby is pretty unlikeable although oddly likeable at the same time? She's not particularly a nice or good person, but it's really easy to understand why she is how she is. I really liked it, and am looking forward to reading Sharp Objects! Although I may leave a bit of time as there's only so much darkness and unlikeable characters that I can take! Yay, 5 books down... quite a few more to go. Hehe. 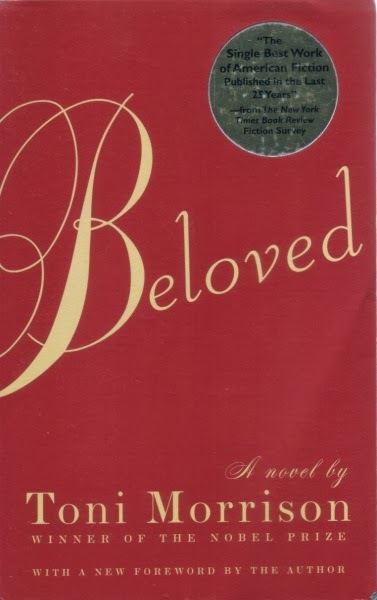 The fact that I still enjoyed Beloved, in spite of the fact that a lot of the plot was already spoiled for me is a testament to how good it was :D Dark Places was good, although I get the impression that Sharp Objects is generally seen as being better... but if you like Gillian Flynn, I'm sure you'll love it!! I seriously have 4 of these books ready to read and haven't read any of them! (all of them except the Gaiman one, and I have looooads of Gaiman ones to read!) 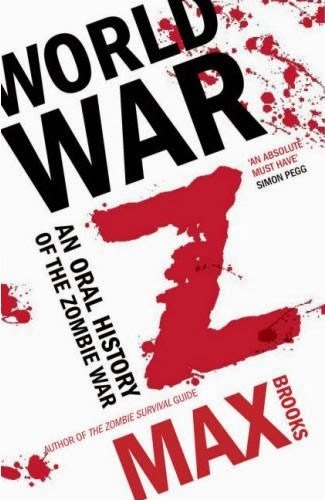 So basically, I'm glad that none of them were real stinkers, AND I'm so glad you review books because you totally give a perspective on things that a lot of other people might not have- like the Japanese stuff in World War Z. YAY DIFFERENT VIEWPOINTS! Hehehe. Yayyy, I'm glad that I didn't make you regret any of your purchases! Hehe. Hehe, I only provide a different viewpoint if it's about Japan, or somebody speaking in a second language, hehe. They're the only two things I know about!